Many believe that walking boots are designed just to keep your feet warm and dry, well that’s great in the winter but what about summer walks where the ground is drier and your feet start to get hot? 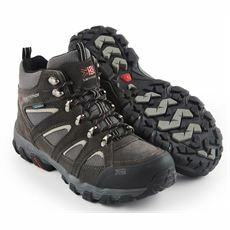 Worry not, as here at GO Outdoors we’ve got some stylish men’s summer fabric walking boots that are designed to provide the vital support and comfort you need for a long distance walk combined with the lightweight construction and breathability that helps to keep your feet cool. Our summer fabric walking boots have come from top brands such as Bergaus and Mammut enabling you to pick a stylish pair of walking boots that you can trust. Check them out online of in your local GO Outdoors store today.